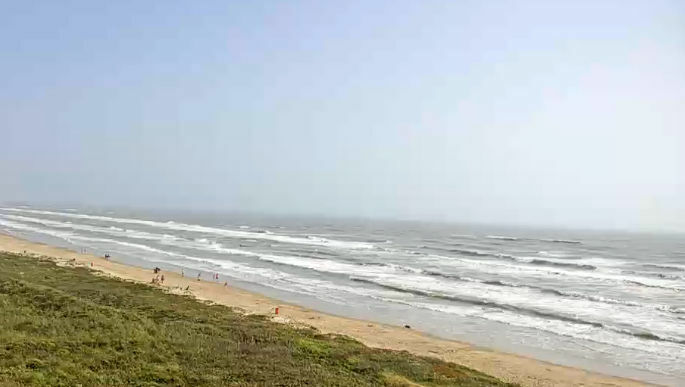 An official “request for proposals” issued by Cameron County, contemplating private development of an entertainment resort on the north flats adjacent to the South Padre Island Convention Center, resulted in only one submission by the Tuesday deadline, according to Precinct 1 County Commissioner Sofia C. Benavides. The county had solicited proposals for a family entertainment resort to be built on some or all of the 40-plus acres of county land within Andy Bowie Park, with immediate frontage on Park Road 100 and Laguna Madre Bay. The RFP stipulated that the development would feature retail and restaurants, with possible amenities including landscaping, boardwalks, water-based activities and water-sport rentals, floating transient docks and boat slips, music venues, shaded structures, restrooms and family recreational facilities. Benavides said it’s just one idea commissioners are mulling as a way to lure more visitors to the Island throughout the year. “They’re just things that we’re talking out loud about that would help keep tourism going all year around,” she said. It’s especially important in light of the millions of dollars the county is spending for improvements to Isla Blanca Park, E.K. Atwood Park and other county-owned facilities on the Island, she said. Since the flats flood regularly at high tide, though, a developer would have to build up the elevation before putting anything on it, she said. Patrick Anderson, chairman of the Lower Rio Grande Valley Sierra Club, said the flats in question are the Island’s only public access to the bay, one that’s heavily used, especially during the summer months. He accused commissioners of shortsightedness for proposing that the flats be developed, noting that the area also helps support local businesses that provide fishing, kayaking, kite boarding and other types of services. Anderson said a meeting is scheduled for March 20 at 6 p.m. at Cafe Karma, 5200 Padre Blvd. on the Island, to discuss the project and strategize ways to stop it. Benavides said it would be up to the developer to do a feasibility study, which the county has not done for the project. Considering that the area contains wetlands, the Texas General Land Office would have a big say in the matter, she said. “We certainly want to protect our ecosystems,” Benavides said. “We’re just feeling things out to see what’s out there, see if there’s anybody interested,” she said.